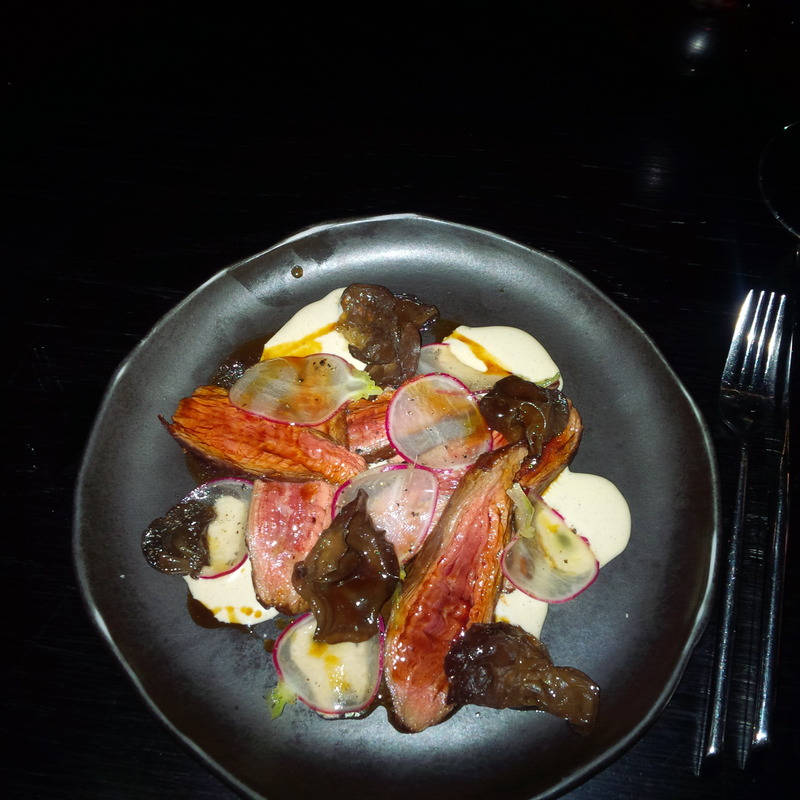 Saturday’s are always fun for Travel Czar, especially when a cool wine bar with beautiful food is involved. 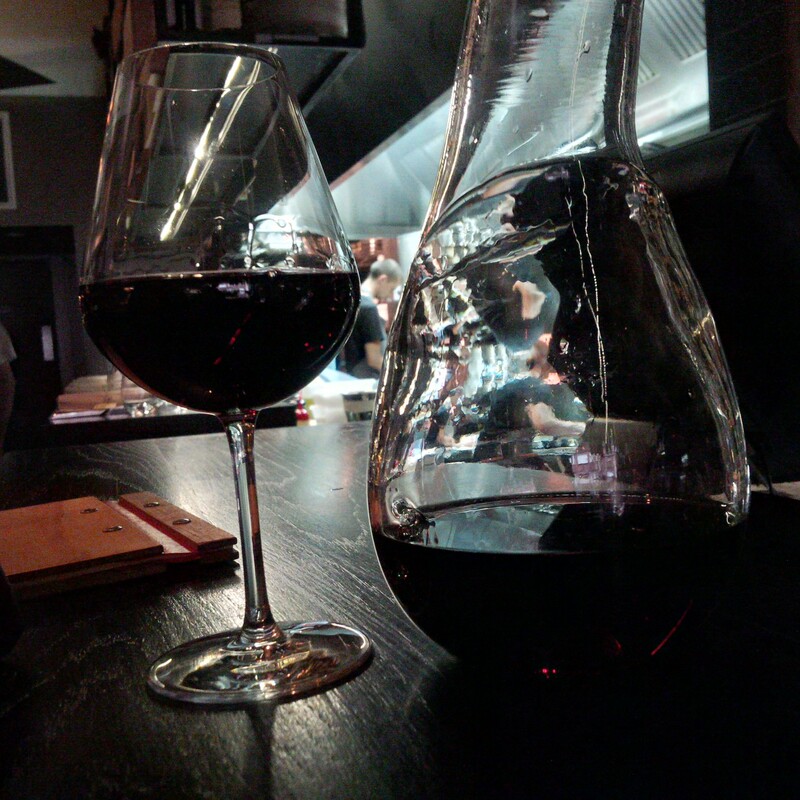 The Monopole does wine carafes, has a great atmosphere and fantastic food – you just cant’ go wrong. It’s a tiny bar in Potts Point (tucked near the Fish Shop). There are little intimate tables on the outer edge where you can do a group catch-up or a seat at the bar (very NYC style and similar to Owl House). The kitchen is hectic and radiates the heat of the ovens etc., so I opt for a table at the bar – where the action is. The menu is simple, a cool wine list and some share plates or substantial items of food. Succulent calamari is simply delicious and grilled to perfection with a light charcoal waft and taste from the grill. 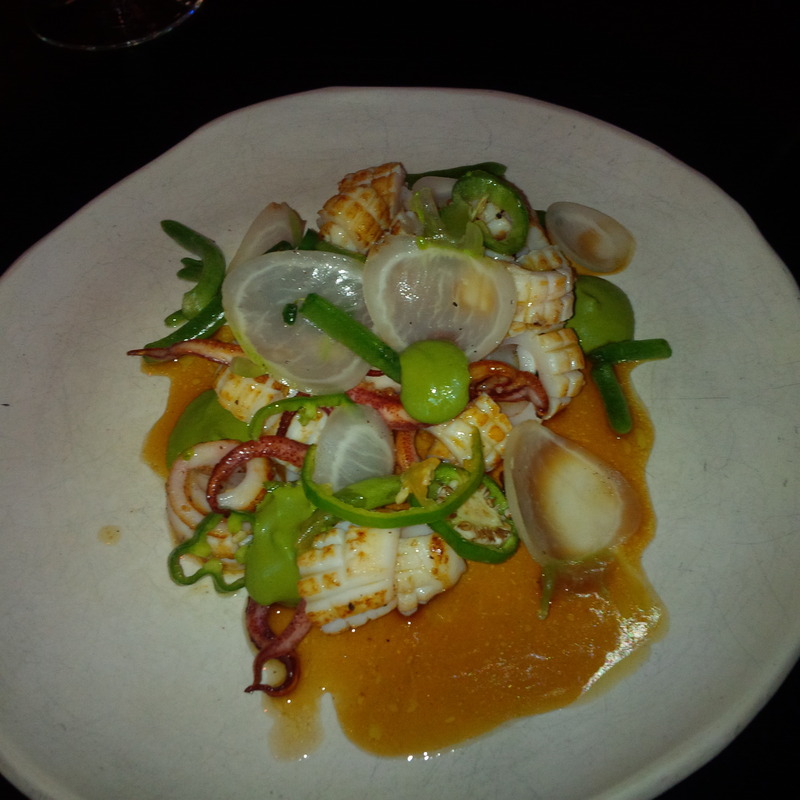 Its paired with a green chilli salsa with padrons (a type of pepper) and a light sauce (which has plummy flavours). The salsa adds a light vinegary tang to the dish with little bite of the chilli flows through in the after taste. There are an array of flavours, but the calamari is king – it’s the President at the State of the Union address, it’s the conductor in the orchestra, it’s the captain on a plane… it’s the way dishes should be! The accompanying flavours should be there just to complement the main ingredient. 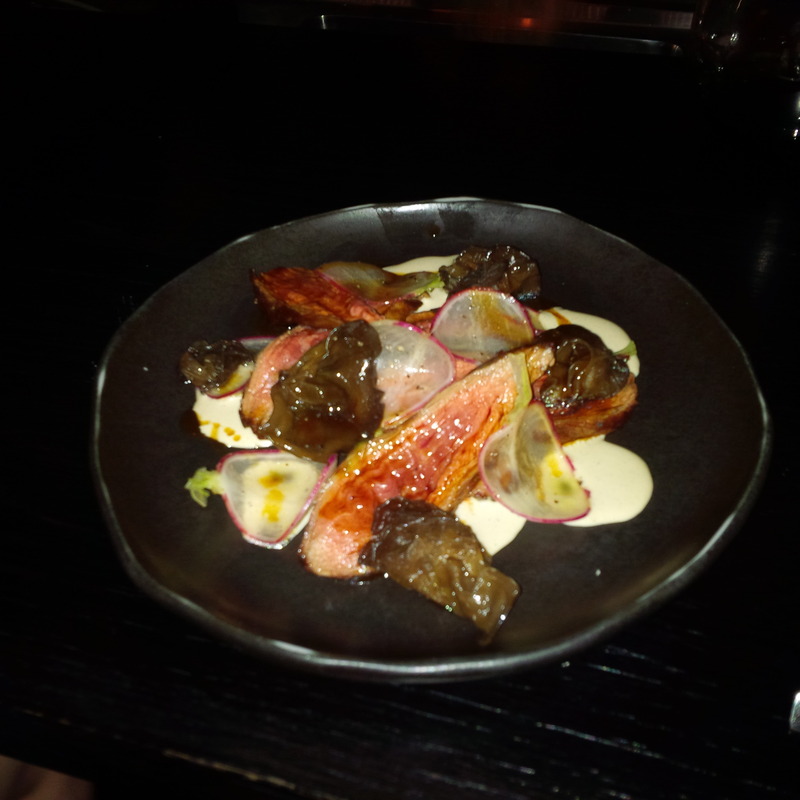 Soft slimy wood ear mushrooms, the light crunch of radish and the silky smooth oyster cream – makes it tick the textures box. The (distinct) oyster flavour which shows its shy face through the rich cream balances the beautiful juices from the beef flank! The beef flank is quite tender and is cooked rare, so the soft centre of the meat is retains the full flavour of the steak which there is light outer crust that’s beautiful. It’s an amazing dish – love it. The carafe of the Paterna Chianti Aretini (2011) proves to be a beautiful wine. Full flavoured, with a little dryness and slight acidity! However it is very easy to drink and perfect for a Saturday night. The staff are amazing – one of the chefs who serves me explains every aspect of the dishes, provides service with a smile and in general I couldn’t fault the experience.